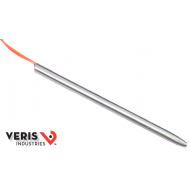 TKBIR00 2.5" Pencil Probe, SS. 1K Nickel Iron (Balco) RTD. TBDT0 8" circumferance clamp, 100 ohm platinum RTD. 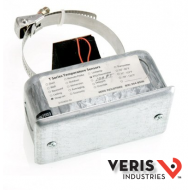 TBDR0 8" circumferance clamp, 10k ohm US thermistor. TBDP0 8" circumferance clamp, 10mV/°C linitemp. TBDN0 8" circumferance clamp, 1800 ohm TAC thermistor. TBDM0 8" circumferance clamp, 20k ohm NTC thermistor. TBDK0 8" circumferance clamp, 10k ohm thermistor with 11k shunt. TBDJ0 8" circumference clamp, 10k ohm Dale thermistor. TBDH0 8" circumference clamp, 10k ohm type 3 thermistor.